As America steadily begins to welcome the recreational use of weed, Netflix has decided to enlist some of the world’s most famous stoners to help them take a deep dive into the history and criminalization of the cannabis plant. For a documentary that appropriately premieres on 4/20, the vocal cannabis advocate and hip-hop pioneer Fab 5 Freddy embarks on a journey to decipher stigma surrounding weed. 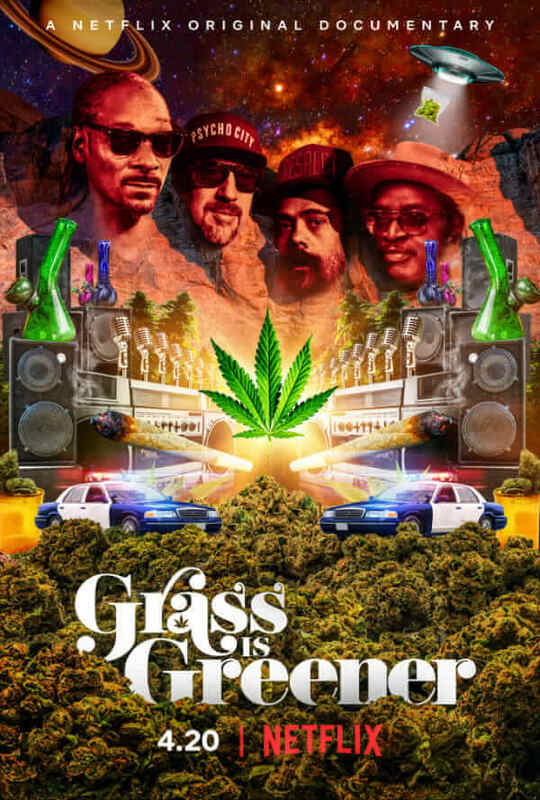 Freddy—who also directed and co-produced the film—uses Grass Is Greener to help draw the connection between art, music, and marijuana. To do this, he taps the talents of popular entertainers like Snoop Dogg, B-Real, Damian Marley, and more. Grass Is Greener will also take a look at weed’s dark past by outlining the racial disparity associated with the criminalization while also describing how these laws have had a lasting impact on Black and Latino communities. In addition to detailing the justice system’s past failures, Freddy also wants to let it be known that the disenfranchisement of minority marijuana users still exists even after reformed legislation. Along with artists, Grass Is Greener will also feature social reformists who will detail the struggles people of color face when attempting to contribute to the growing cannabis industry. This is done with the hope of explaining that the War on Drugs is really a fight against minorities and the end isn’t solely rooted in legalization.